The US media’s surprise overseeing Mr. Kanye West in the White House hugging and praising President Trump is growing by the minute as they realize this could indeed be a wake-up call for the African American community and a rallying cry for the upcoming Midterm elections. 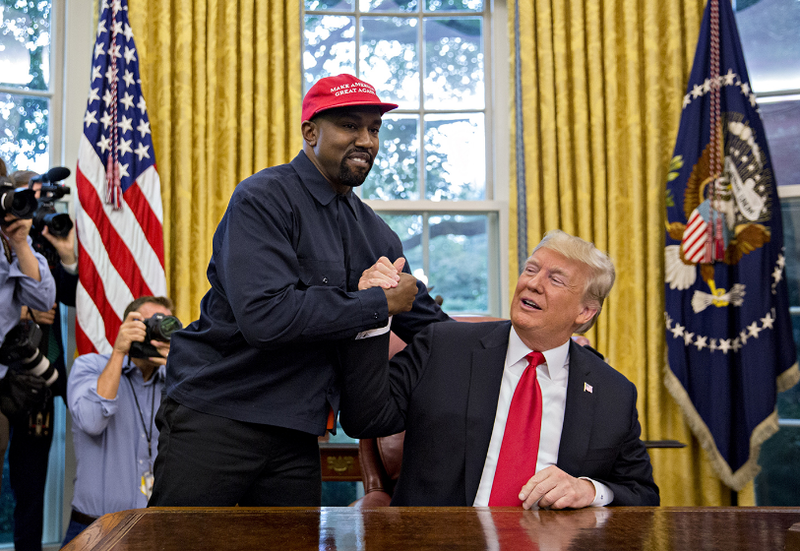 After he was criticized two weeks ago for appearing on the live segment of Saturday Night Live wearing a MAGA hat, this time Mr. West took it one step further and praised US President Donald Trump (and what he has done for the US economy) directly from the Oval Office. The CNN presenter referred to Kanye's Oval Office conversation that touched on topics like employment and prison reform (his wife Kim Kardashian-West has successfully pleaded with POTUS to get two prisoners released) as Mr. West praised Trump's presidency as 'a hero's journey'.